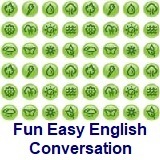 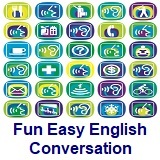 ﻿ Fun Easy English - new american english standard conversation for beginners introduction. 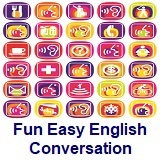 This is a collection of 30 situational conversations which focus on a wide variety of communicative and natural encounters in English. 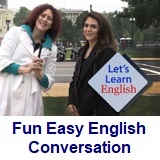 Each conversation is accompanied by language notes that provide useful information on grammar and intonation patterns....these lessons are for beginning students.